There is a new Garnier Coupon available to print. 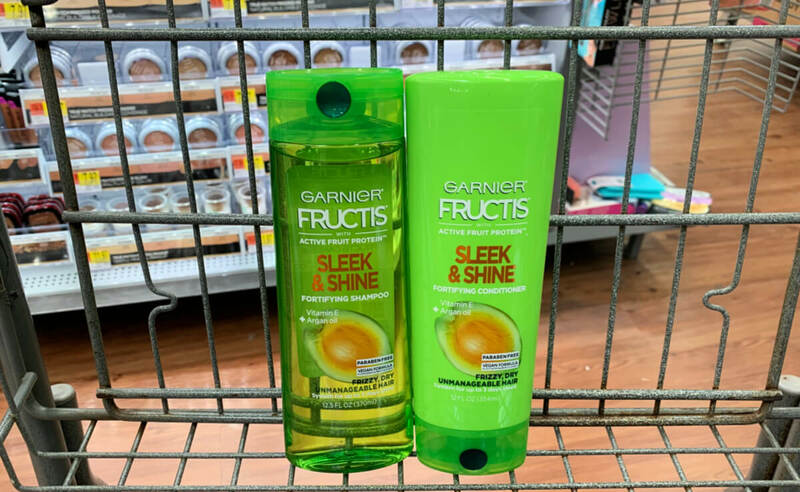 The coupon is for $1.00 any ONE (1) GARNIER Fructis shampoo, conditioner, treatment or styling product (excluding 1oz, 2oz, 2.9oz, 3oz sizes). This coupon has a limit of 1 per household, per day. 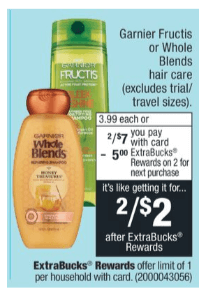 Through 1/26, CVS has the Garnier Fructis Hair Care on sale 2/$7, you must buy 2 in order to get this price. 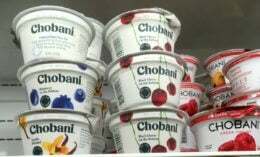 In addition when you buy 2 you will get a $5 ECB (limit 1). 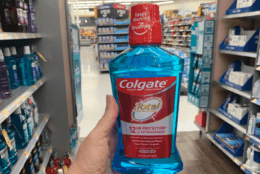 There is also a $1.00 any ONE (1) GARNIER Fructis shampoo, conditioner, treatment or styling product (excluding 1oz, 2oz, 2.9oz, 3oz sizes), CVS App Manufacturer’s Coupon available making 2 of these FREE after stacked offers.